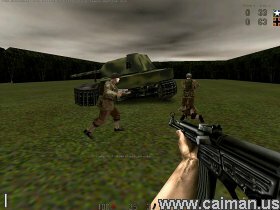 Caiman free games: D-Day Normandy by D-Day Team. D-Day Normandy is a multiplayer netgame only. 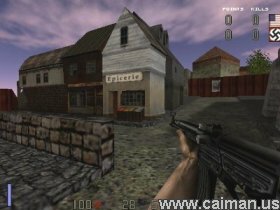 A WW2 FPS on the Quake2 engine. 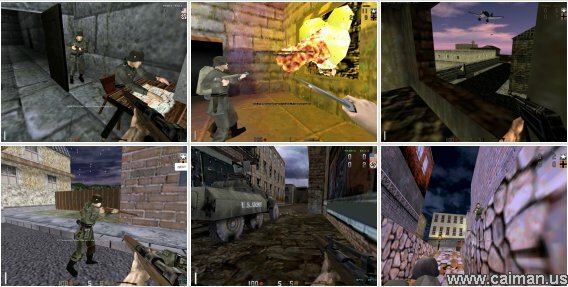 Since the Quake2 engine is opensource the game is a standalone. The game features different teams they include : United States, Germany, Poland, Britian and Japan. Classes in teams are Infantry, Officer 1 Max, Lightmachinegunner 2 max, Heavymachinegunner 2max, Airborne 1 max, Sniper 2max, Medic 4 max, Engineer 2max, And flamethrower 1 max. Mirror download (no registering required) 268 MB.